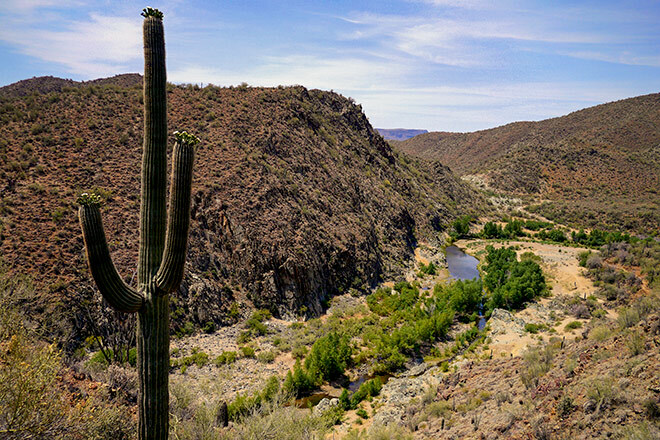 The Black Canyon Trail is 80-miles-long, stretching from the lowlands of the Sonoran Desert in Phoenix to the high grasslands of Prescott Valley, on an easy flowing, purpose-built single track. 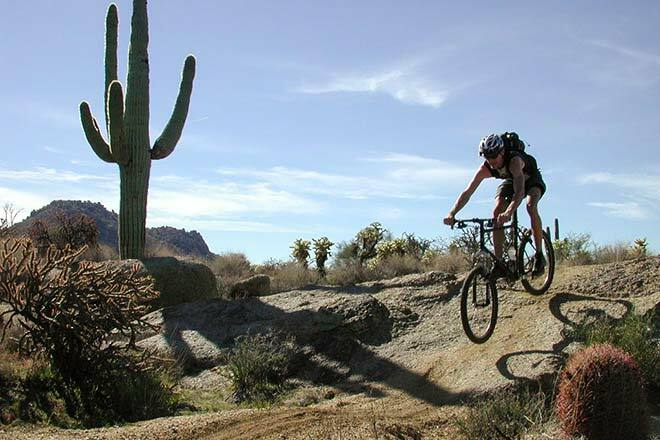 You can tell that great care was taken to engineer the trail for mountain biking, hence all the rapturous reviews. 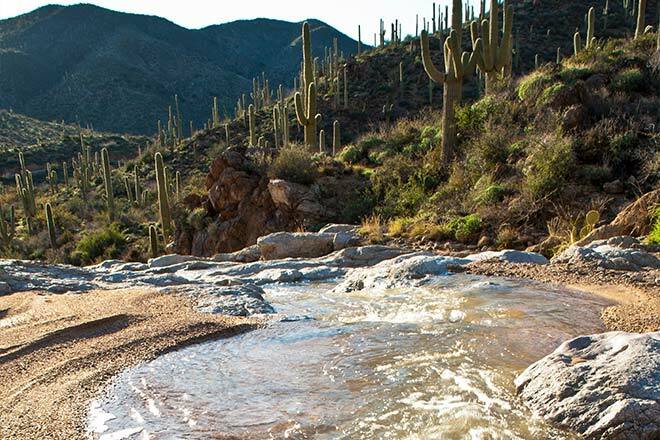 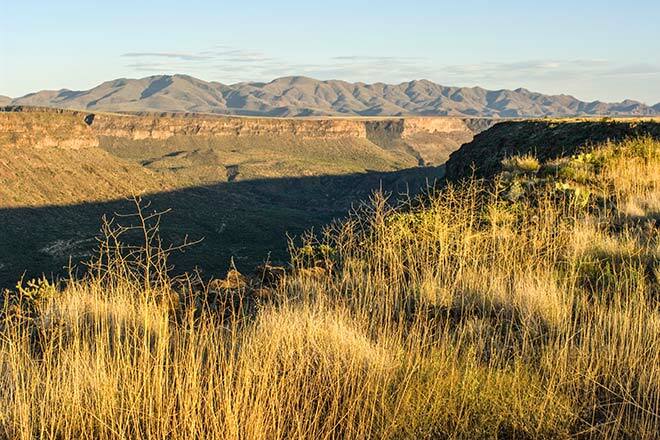 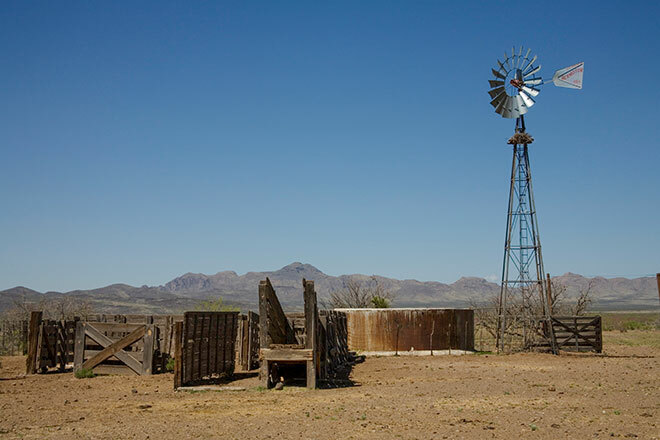 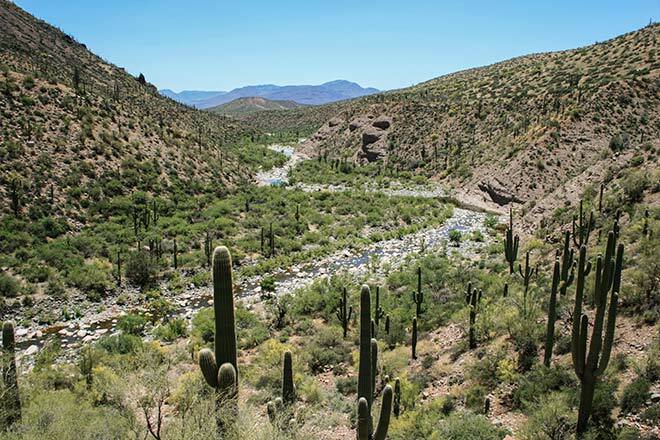 The landscape on this trail is breathtaking: from the deep canyons of the Aqua Fria River to the foothills of the Bradshaw Mountains to the flat-topped mesas of the Black Canyon and the endless saguaro forests. 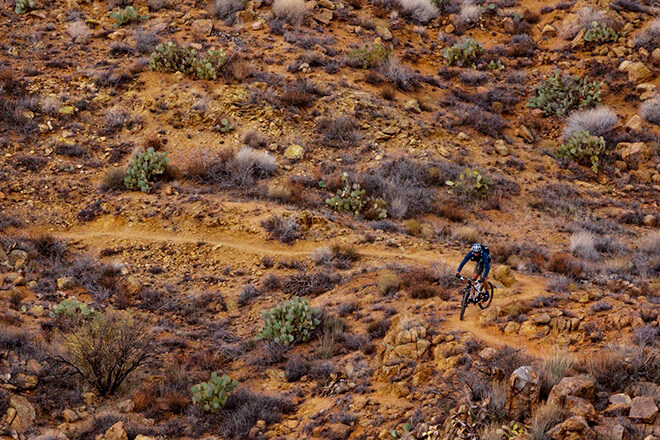 Mostly single track. 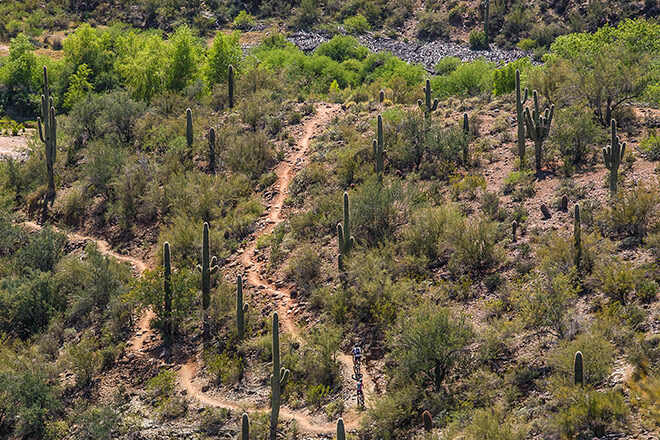 Paths vary from packed sediment to some rocky and sandy sections or smooth dirt trails. 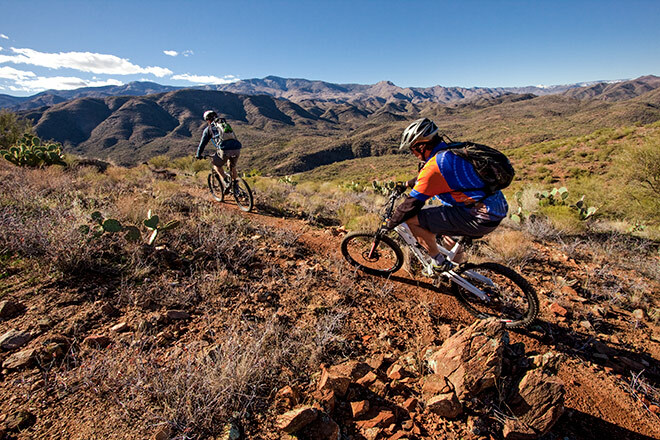 Technical difficulty is intermediate, with occasional stretches of rocky, loose and steep single track. 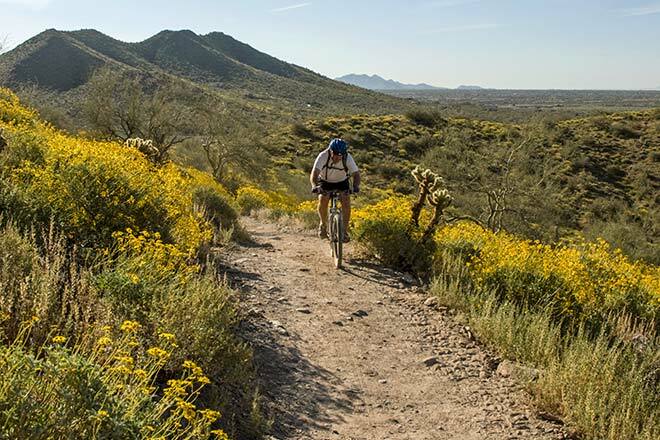 We’ll cycle an average of 40 miles a day, punctuated with short but steep climbs. 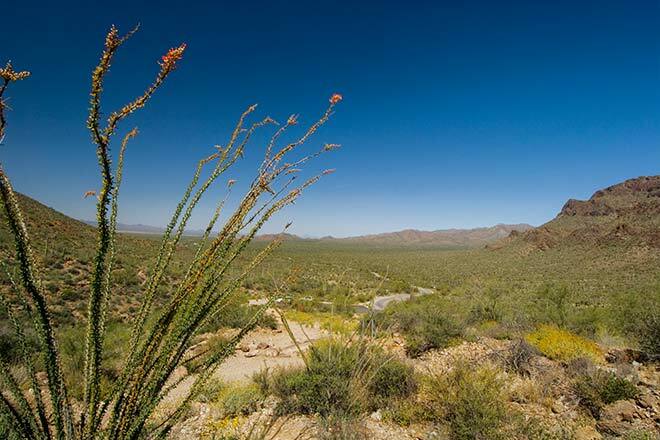 Elevation can vary by around 3000 feet a day.